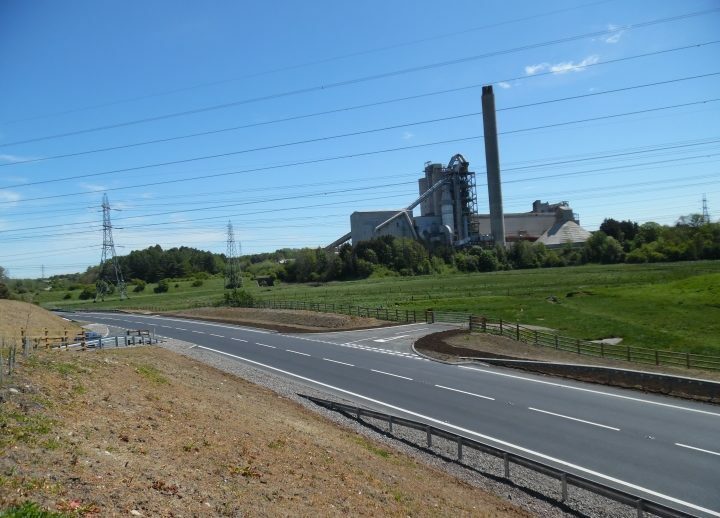 The Gileston to Oldmill Highway Improvement Project completed on site in October 2014 with the aim of improving driver visibility along the busy B4265 close to Cardiff International Airport. The Project involved the offline construction of 600m of new carriageway, the construction of a pipe bridge to protect and support an existing overhead foul sewer which crosses the valley adjacent to the existing B4265 and the removal of a railway embankment and abutment to improve the poor horizontal and vertical alignment which currently poses a safety implication. In order to keep the B4265 open during the works a temporary tarmacadam carriageway was constructed and was operated under single lane ,twenty-four hour traffic lights. Over 1,000,000 vehicles passed through the Traffic Management during the project, averaging at approximately 10,000 per day. 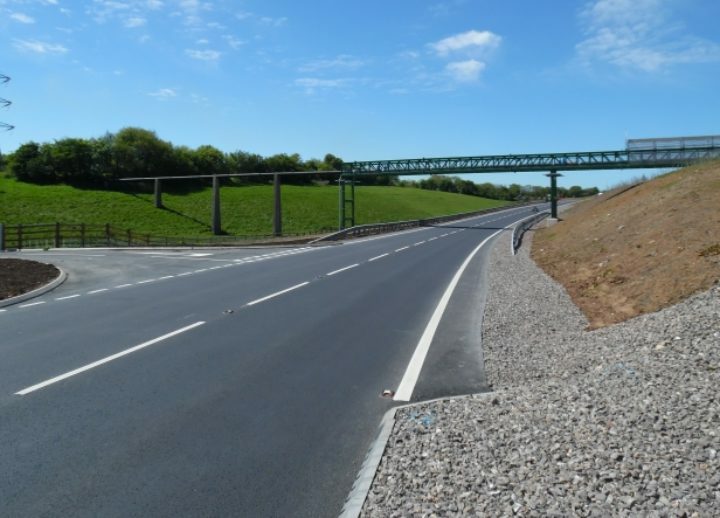 Additional complex traffic management was also required to tie in the new carriageway to the existing at both eastern and western limits of the works. 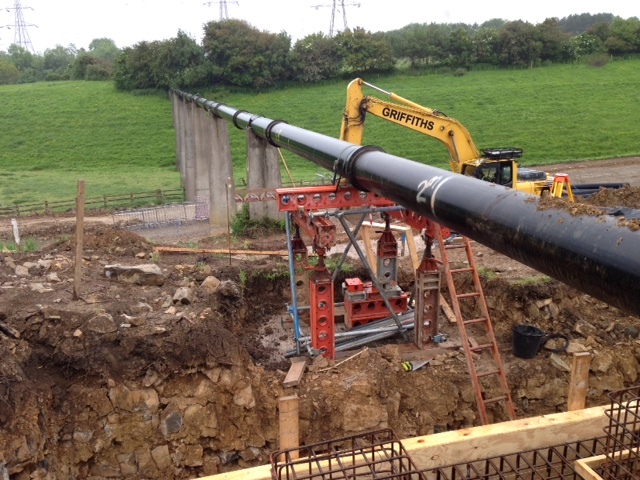 46,000 tonnes of excavated material was removed to allow the new carriageway to pass under the existing sewer. Griffiths’ sustainable approach to waste management was a key part of winning the contract and 5,000 tonnes of excavated material was processed and reused back within the works as drainage blanket and capping, a further 11,000 tonnes has been used as acceptable fill with the remaining 30,000 tonnes placed in a local quarry utilising the CL:AIRE Code of Practice. By considering waste streams early in the project and implementing a Site Waste Management Plan zero inert waste was sent to landfill. 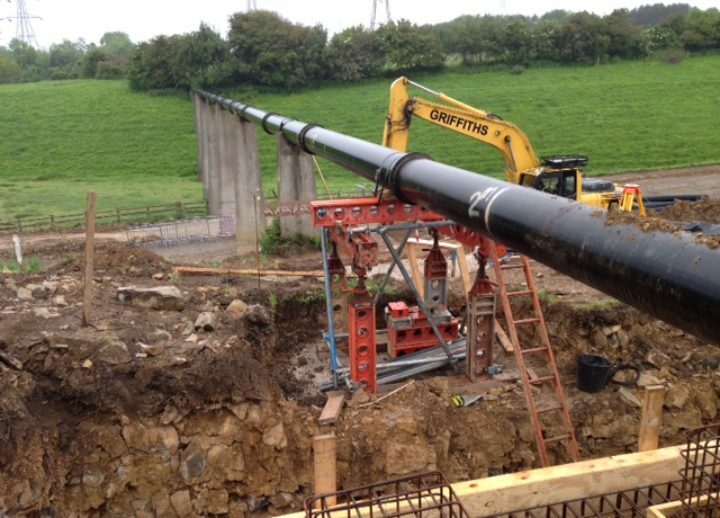 During the excavation Slimshor propping towers were used to support the foul sewer pipe whilst new steel trusses were positioned and fixed. Once in position just three new steel trusses have replaced five old concrete pillars and created an opening wide enough to allow the new, safer carriageway to be constructed. 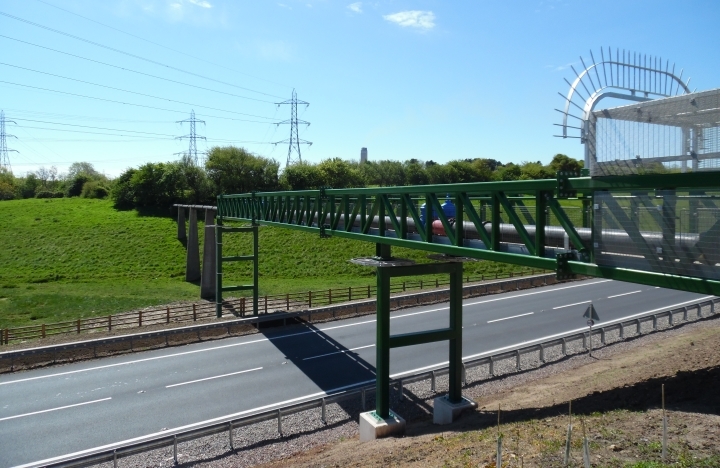 Works have also included landscaping, provision of highway signage and a large diversion of BT equipment which serves Cardiff Airport. All works were completed on time in October 2014, with a total construction programme of 40 weeks. 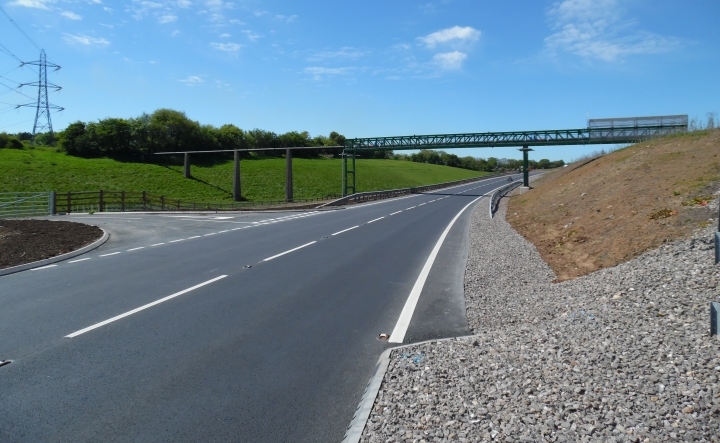 Tahir Saleem, Principal Engineer for Vale of Glamorgan Council said: “We were keen to make this project our flagship highway improvement scheme of the year and we are delighted with how things have progressed. The team has done a great job and we will seek to use this way of project management on more of our future projects”.